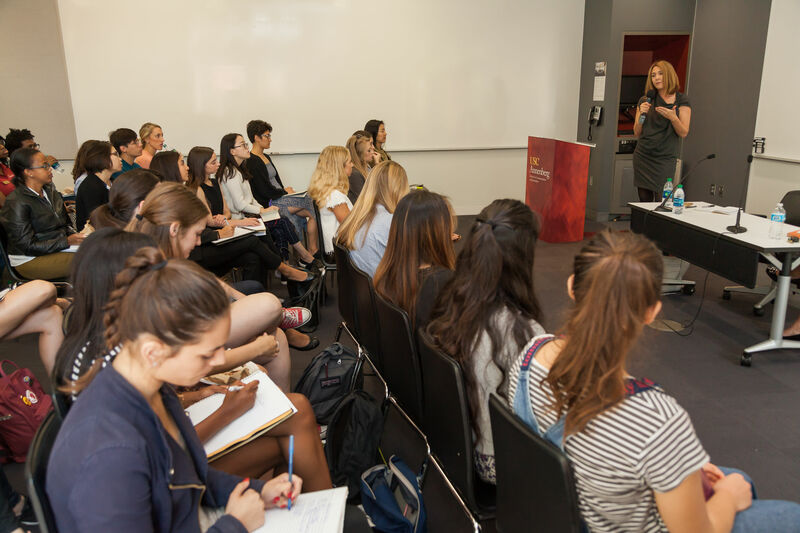 At a time when communication, journalism and public relations are at the heart of our culture, commerce and politics like never before, the USC Annenberg School for Communication and Journalism is uniquely positioned to lead the way forward and shape the future of the digital age. There is no place better equipped to take on today’s challenges than USC Annenberg. Our academic rigor puts us at the very top of the world’s communication schools. The excellence and energy of our faculty, our facilities, our connections with our industries of practice and our technological capabilities are second to none. But to lead and navigate rapid change, we need a new paradigm — one which will drive three priorities in the years ahead: new connections, new foundations and new conversations. Critical to the success of these priorities is you. With your support of these initiatives, our accomplished students and faculty will be empowered to pursue their academic ambitions, and transform and lead the communication and media industries well into the future. USC Annenberg students man their various departments in the 20,000-square-foot Julie Chen/Leslie Moonves and CBS Media Center at Wallis Annenberg Hall. One critical area of focus in the coming years will be to form and strengthen partnerships to build the diverse, creative workforce our fields need to position ourselves along communication’s new frontier. To do that requires increasing our investment in career services and offering students more opportunities for experiential learning. Our Student Services and Career Development staff are highly-skilled teams working closely with our academic units and leveraging the vast network of our relationships. 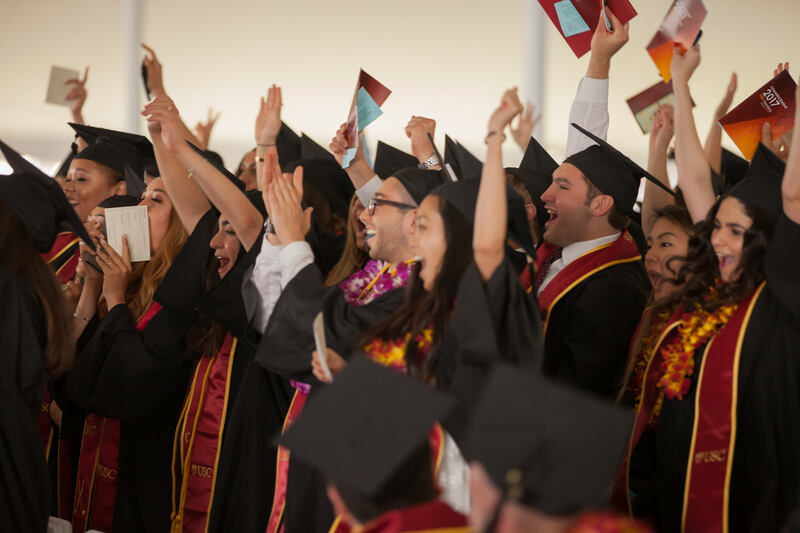 Their work is part of the reason that among our Class of 2016 graduates, 98% of USC Annenberg undergrads and 99% of post-baccalaureate students were employed within 12 months of graduation. But their list of employers looks very different from years past. Some are heading for jobs at places like Apple, Facebook, Google and Netflix, and many more will follow their lead. 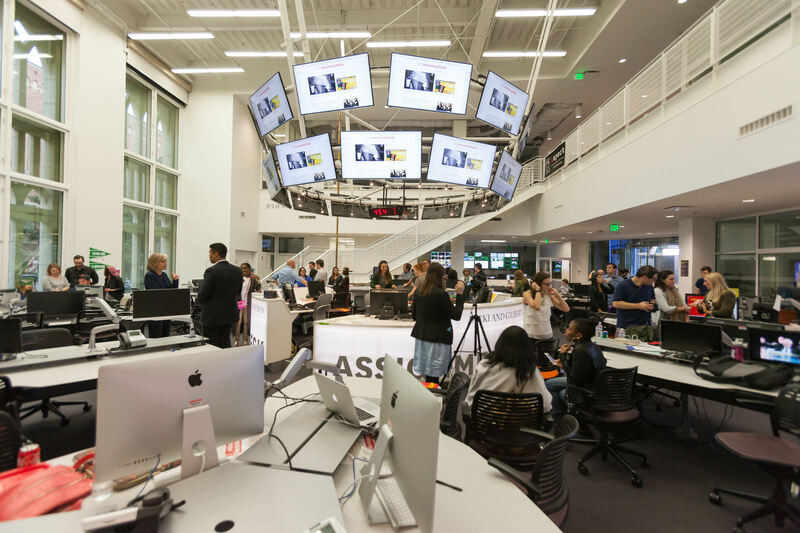 Additionally, USC Annenberg will work to create new connections for students through immersive professional learning opportunities. We will do this by expanding our Maymester programs — now in New York, San Francisco and Los Angeles — where students experience firsthand convergence and disruption in media, communication and web technologies. They listen in on the planning behind ad campaigns, talk with top-level executives or early-career professionals and bounce ideas off creative strategists. For many, like Keren Marroquin, it is a transformational experience. 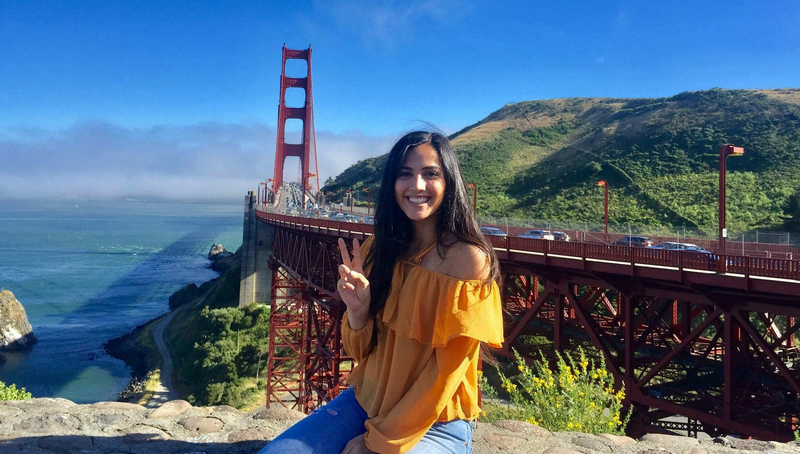 Keren Marroquin (Communication, Spanish ’18) visited tech, media, and communication companies in California’s Bay Area as a participant in USC Annenberg's 2017 "Baymester" program. Further, we will expand our pipeline programs for high school students, building upon programs like our Annenberg Youth Academy for Media and Civic Engagement, and developing new opportunities in sports media, media literacy and advocacy communications. Through these programs, local students learn about the importance of a free press and gain the core skills and values of high-quality journalism, and also learn to use media to advance meaningful causes. USC Annenberg will invest in scholarship and research to define the transformation of communication in the digital age, examining its effects and implications. That begins by investing in our faculty — our most precious resource — as well as our curriculum and teaching across all programs. Where we have already introduced our new B.A. in Journalism, it’s time now to reimagine our public relations program to fully address the transformation of the dynamic and growing PR industry, and the global trends that are shaping its future. We will also continue and expedite the development of new and refreshed graduate programs to attract and train the next generation of communication leaders. We must also prepare students to be savvy and ethical consumers and producers of information. We recently developed an interdisciplinary media literacy class blending communication theory and journalism practice, soon to be a required course in all our degree programs. But a fluency with new media tools and techniques is just the beginning. We will develop courses to grapple with the ways new media technologies affect our ability to differentiate fake news from real, to understand the ways our “attention economy” business models shape the design and intent of communication tools and platforms, and to appreciate what that means for users. 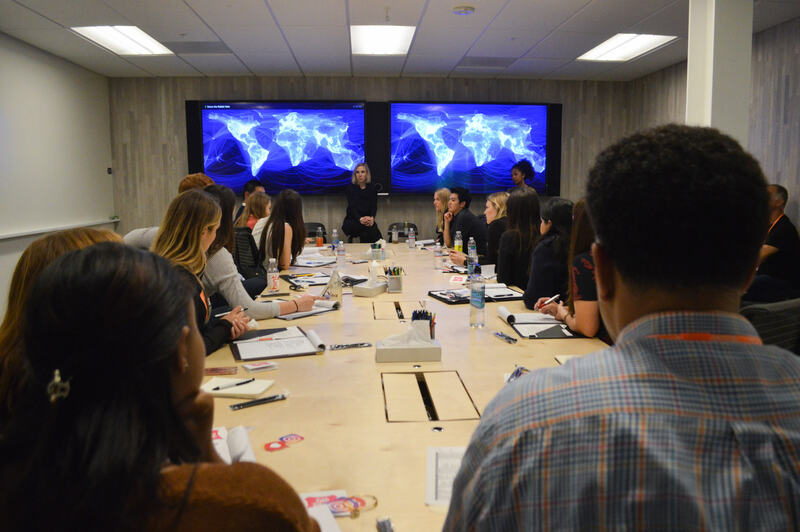 Students listen as Angie Barrick (Communication Management, ’94), Head of Industry, Media, & Entertainment at Google, talks about her path from Annenberg to Google and what her role is there. Expanding USC Annenberg’s presence in the public square to create new opportunities for conversation, dialogue and debate, such as through philanthropy like Judge Judy Sheindlin’s gift, is crucial for the school to shape and lead national conversations. By amplifying USC Annenberg’s voice, we will increase our impact and engage policymakers, industry leaders, influencers and the public in addressing urgent issues of this new era — to keep journalism valuable, shape the future of PR, provide guidance and counsel to policymakers for new mass media, and help technology companies grapple with the unintended consequences of their massive reach and influence. 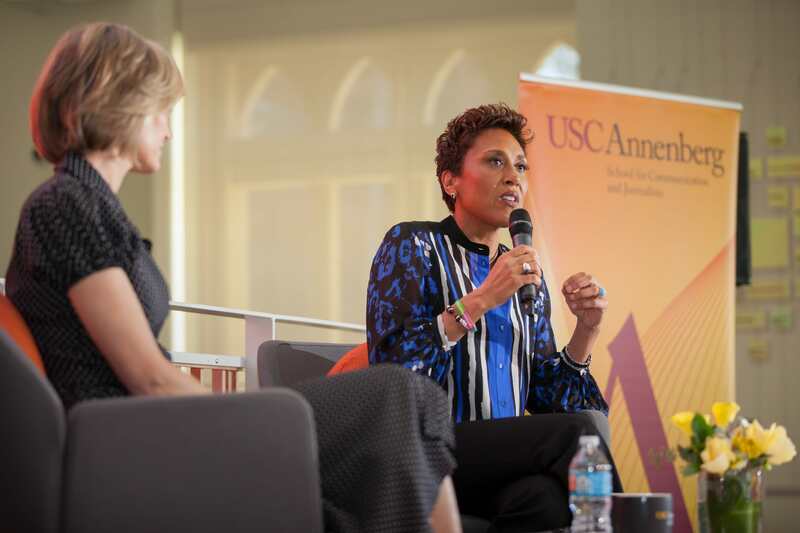 Communication, media, and journalism leaders, such as Robin Roberts, Judge Judy Sheindlin, and Cokie Roberts, frequently visit USC Annenberg to share insights and advice with students. We will bring our expertise in cultural theory and criticism to examine issues of race, gender and class as they shape contemporary communication. And we will use that knowledge to guide the media industry and emerging platforms on issues of equity and inclusion. USC Annenberg must be at the center of all these discussions. To achieve these ambitious goals requires your support. At this moment of profound and often destabilizing change, USC Annenberg’s mission has never been more urgent. Your gift will create meaningful opportunities for our students and faculty, and help enable future generations of Annenberg students to become forward-thinking and versatile leaders in the ever-changing fields of communication, journalism and public relations. Together, we can seize this important moment in our school’s history and fuel USC Annenberg’s success and impact far into the future.